Escape to the Caribbean this week as we bring you these hot topics from the tropics. Escape to paradise with this sweet, spicy marinade with the perfect amount of citrus and heat! 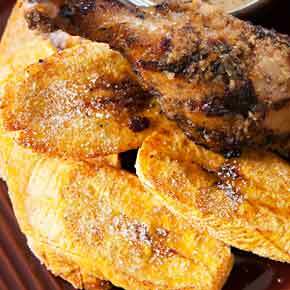 Use our Jamaican Jerk Marinade recipe to create this Caribbean inspired meal. Arr, be ye up fer this here tropical kick in the keister? 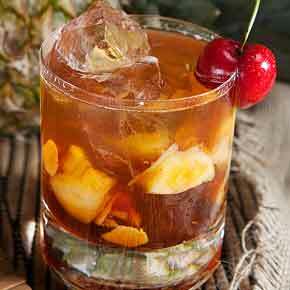 This concoction is sure to put a fire in yer belly and a pucker on yer face. 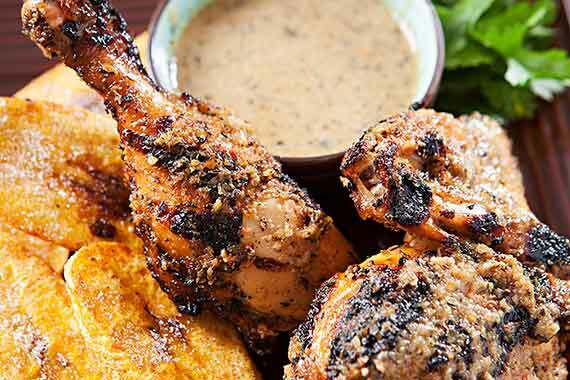 Soul-mate to our Jamaican Jerk Chicken, these are truly delectable. 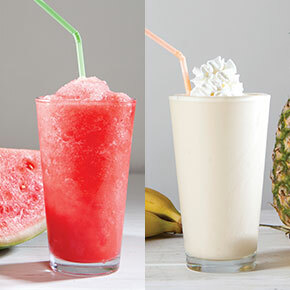 When warm summer breezes blow, cruise into our coffee bar for our delicious and refreshing seasonal drinks, coolers, and shakes, made especially for you including Mango Madness, Nutty Colada, Watermelon Cooler, Tropical Milkshake, and Lava Flow. If you ever find yourself shipwrecked on a tropical island, you’d be lucky to have one of our Nugget Markets Coconut Cream Pies stashed somewhere in your duffel bag! 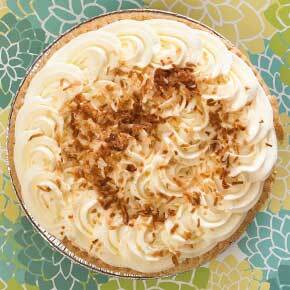 Made in-house by our team of Nugget Markets bakery associates, our coconut cream pie is a flakey, buttery crust filled with rich, silky coconut custard with moist coconut flakes and topped with fresh whipped cream and golden toasted coconut. It’s a true slice of paradise! Add a taste of the tropics to your cheese board! 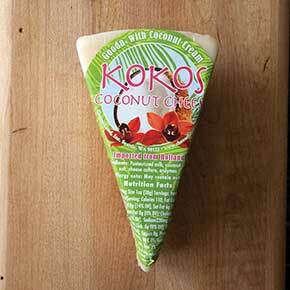 Try Koko’s Coconut Gouda* from Cheeseland. Made with fresh, pasteurized cow’s milk and a dollop of coconut cream, this wonderfully unique cheese has a nutty taste and a touch of refreshing sweetness. It’s lovely with fruit or thinly sliced with crisp crackers and chilled white wine. 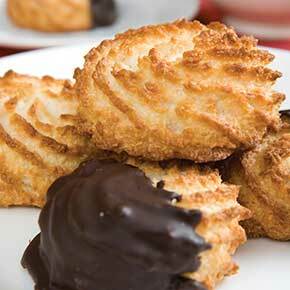 Got a yen for sweet, delicious, moist coconut macaroons? Look no further than our Nugget Markets bakery, where you’ll find the most delicious, perfectly baked macaroons in town. Made in-house by our bakery associates, our macaroons are available in plain coconut or dipped in chocolate and come in a variety of sizes for any occasion. Made with pure, simple ingredients like coconut, sugar and egg whites, it’s easy to see why our macaroons are a favorite treat with our guests! Made by Ettore’s European Bakery in Sacramento and delivered fresh to our stores daily, this deliciously unusual cake will be a seasonal hit this summer! 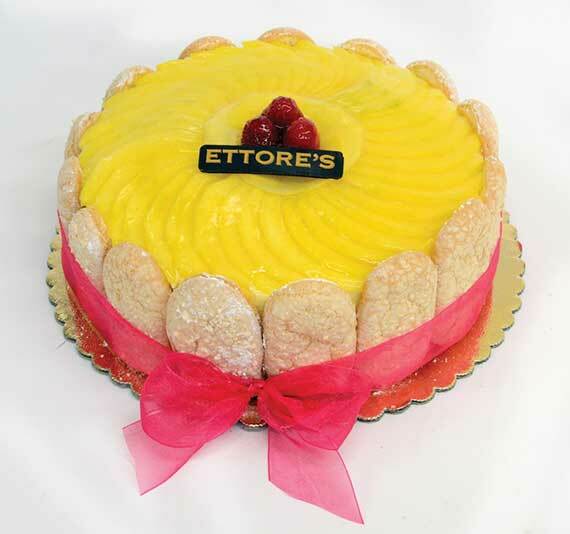 Ettore’s takes light vanilla sponge cake kissed with mango syrup, fills it with mango mousse topped with fresh juicy mangos and wraps it all up in airy ladyfingers. Tropical and tasty! This Friday and Saturday, all Ghirardelli chocolate bars are just 2/$3 with our Secret Special coupon! 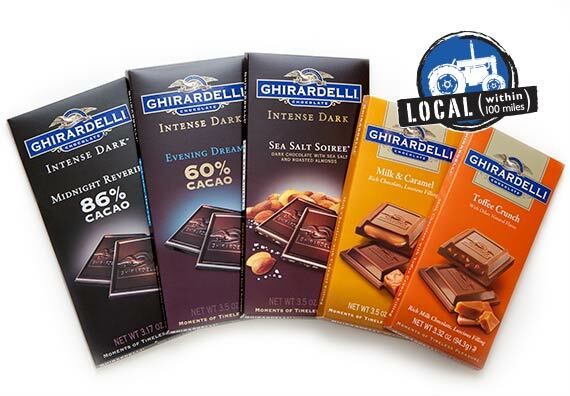 These premium chocolate bars hail from the Bay where Ghirardelli has been producing premium chocolate for more than 160 years. “Celebrate the American Cheese Plate” in the Farm to Fork Capital! We’re proud to support the American Cheese Society’s 2014 conference, competition, and festival, July 29 – August 1 at the Sacramento Convention Center. The Festival of Cheese (Aug.1) features more than 1,700 cheeses entered in the ACS competition along with samplings such as honeys, craft beers, preserves, charcuterie, and wine. Visit the Nugget Markets tasting table for delicious tidbits that pair with your favorite cheeses. cheesesociety.org. Get your wine tasting on at one of the following Nugget Markets locations from 5 p.m. – 7 p.m. Tastings cost just $5/flight and attendees must be at least 21 years of age. Prices valid July 30-August 5, 2014.